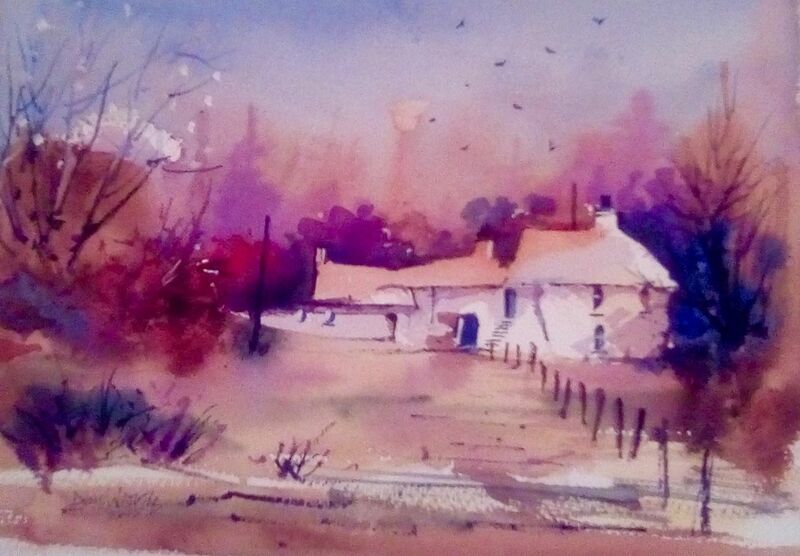 Watercolour Artist Denis Watkins provides a popular watercolour class here at the Studio in The Abergorki Hall, Treorchy. The class meets on Fridays from 10am to 12 noon, it’s aimed at beginners but is enjoyed by artists of all levels. The class is only £1 per session though all participants need to be a member of the Art Society. Materials are not provided so anyone who attends would have to bring their own watercolour paper, any size, watercolour paints and brushes. All important tea and biscuits are provided. The class is Landscape Painting only, and everyone paints the same subject with the intention of completing the painting in one session, thus ensuring that a different painting is completed each week. This method hones the ability to paint fast and loose, which has many benefits in watercolour painting and sketching. Please check with the Art Society before attending, to ensure that it has not been cancelled due to unforeseen circumstances.